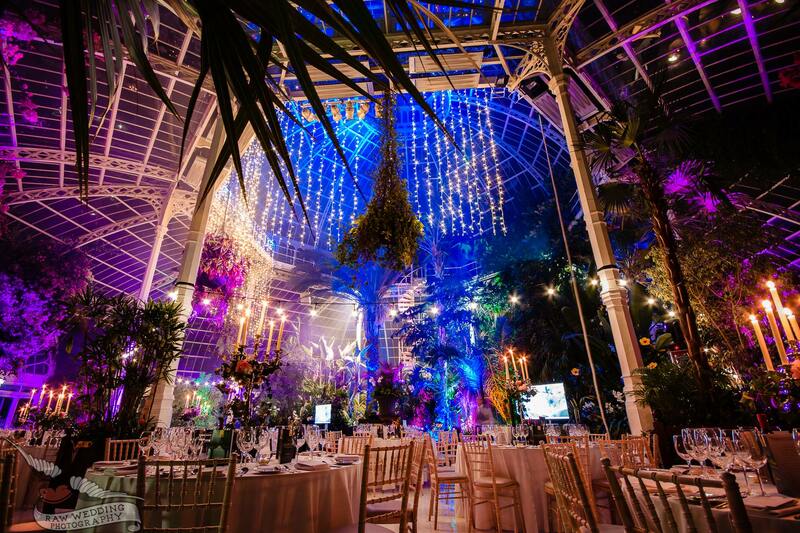 The HYT fundraising dinner showed the Palm House at its best, with over 170 people enjoying excellent catering, music, colourful lighting showing off the plant collection and architecture. Hair raising performances were followed by fireworks and fire dancers, all to raise money for others to enjoy the Palm House. The staff were excellent and the event was a tribute to those who organised it. A really exciting place to be, and a fantastic venue for Liverpool. 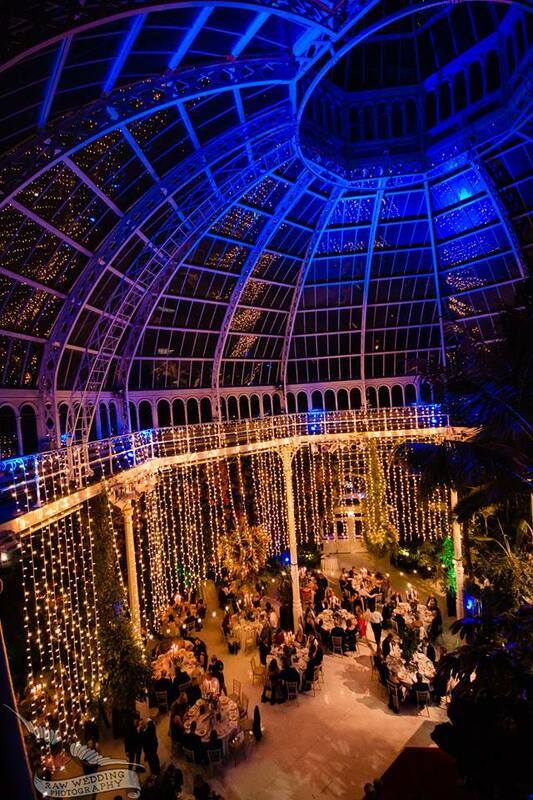 Dine were delighted to support the Henry Yates Thompson Dinner at Sefton Park Palm House earlier this month. This year’s theme was ‘The Enchanted Garden’ and 170 guests turned out to help raise money for the charitable trust. 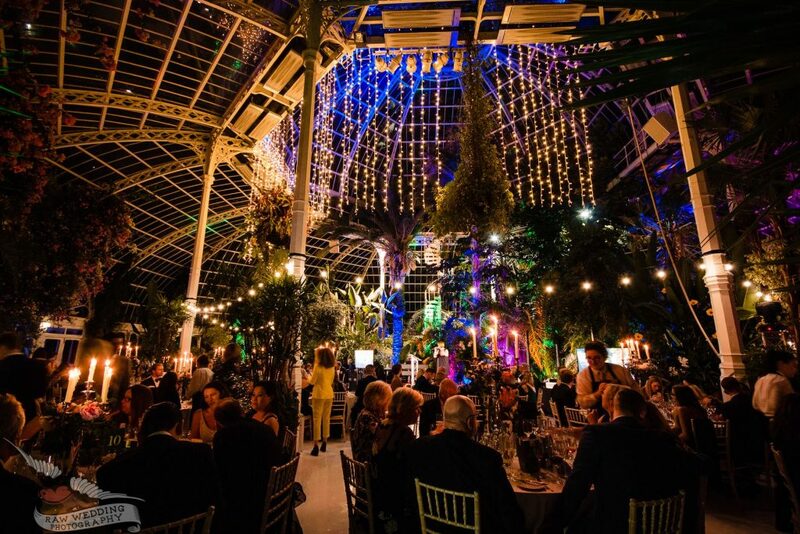 Guests arrived at the magnificent Palm House (which looked fabulous thanks to the clever people at Absolute Lighting and The Lantern Company) and were greeted with amazing fire performers from Bring the Fire. After Dinner, guests danced the night away to music from Wedding Jam before heading home. The evening was a huge success, and the money raised on the evening will allow Sefton Park Palm House to develop their Life Long Learning programme. Amongst many other aspects, they are now able to offer free access to events for learning and interpretation carers and will be able to conduct signed tours very soon. 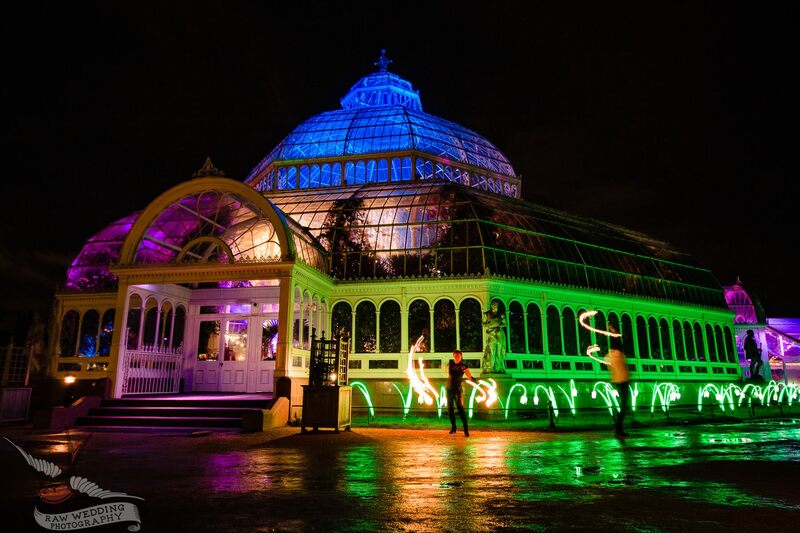 If you’d like to know more about holding your next event, wedding or celebration at Sefton Park Palm House, do get in touch – as you can see, it’s a spectacular venue, perfect for creating memorable events. Call our team on 0345 450 4545 to start planning your event.